With the slow death of Headway Themes, the WordPress website and theme builder market lost one of its biggest participants. Don’t despair, though. While Headway Themes might no longer be a viable option, there are still some awesome WordPress website builders out there. In fact, part of the reason behind Headway Themes’ death was an inability to keep up with the stellar competition. So if you’re looking for a WordPress theme builder or website builder that isn’t named Headway, what are your options? In this post, I’ll dig into five of the best WordPress theme builders. As much as possible, I’ll try to focus on true theme builders, rather than mega themes that just come with a ton of different demo content. Note – I’ll use theme builder and website builder interchangeably in this post because, as far as I can tell, they mean the same thing to most WordPress users. 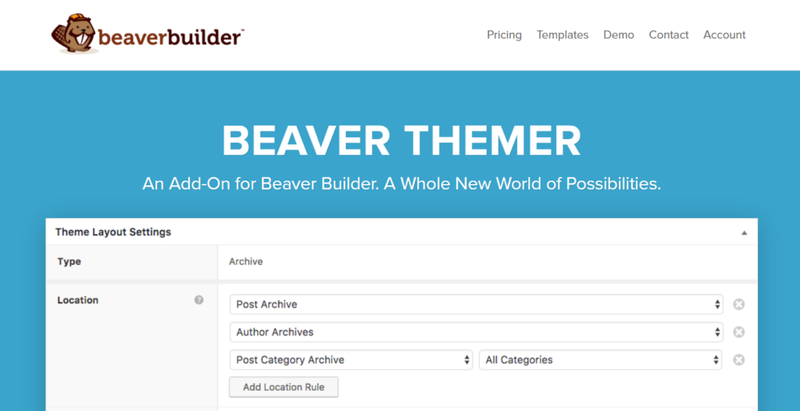 Beaver Themer is a new’ish release from the team at Beaver Builder. It brings the same stellar Beaver Builder interface to bear on your entire theme. While you can do something similar with the Beaver Builder theme, Beaver Themer is unique in that it functions as a plugin. You can essentially use it to build your headers, single post templates, archive pages, and more…all using custom elements for dynamic data, as well as all of the original elements from the Beaver Builder. Note – Beaver Themer is an add-on for Beaver Builder, so you will need the original Beaver Builder plugin as well. Create theme templates for core pages like archives, post types, WooCommerce products, and more. Not all themes support custom headers and footers out of the box – currently only works with Beaver builder theme, Genesis, GeneratePress, StoreFront, and some smaller themes. Beaver Themer itself costs $147. But you’ll also need the $99 Beaver Builder page builder plugin to use it. Oxygen is a new website builder from Soflyy, the team behind the popular WP All Import plugin. Like Beaver Themer, Oxygen is technically a plugin, but it actually lets you build out your entire WordPress theme using an in-dashboard visual editor. You can either build your theme from scratch or use a variety of pre-designed components. Unlike some of the other theme builders, Oxygen is geared a bit more towards developers with a focus on easy in-dashboard code and CSS editing. Oxygen currently costs $99 for lifetime updates and unlimited sites. The Soflyy team may raise the price in the near future, though. Divi is an incredibly popular theme and page builder combination that makes it easy to quickly build out a variety of website designs. I hesitated to include Divi on this list because it’s not a “true” theme builder in that you can build your header and archive pages with it. But you can still accomplish that with a little elbow grease – and Divi’s massive community makes it easy to find tips and tricks you can use to create a fully customized site. Divi is available as part of the $89 Elegant Themes membership. As part of your membership, you also get access to all of Elegant Themes’ other themes and plugins for use on unlimited sites. Themify Flow is an open source and free WordPress theme builder from Themify that promises “complete design from header to footer.” With it, you can build as many templates as you want using a drag and drop visual editor, as well as easy CSS styling. Then, once you have some templates, you can assign them to posts, pages, custom post types, and more. Unlike Beaver Themer and Oxygen, Themify Flow is a WordPress theme, rather than a plugin. Build templates for single posts, pages, archives, and more. Uses shortcodes over clean HTML, though does its best to avoid shortcode bloat. Themify Flow is 100% free. Like Divi, Layers is a WordPress theme packaged with a drag and drop page builder that makes it possible to build out your entire theme. While you won’t have quite as much control over your design as you would with something like Beaver Themer, Oxygen, or Themify Flow, it’s also easier for beginners to use. Layers does offer a free version, but you’ll need the Pro version for the most flexibility. In order to achieve user friendliness, you sacrifice some flexibility. Layers does have a free version. But to get access to the full version, you’ll need to buy Layers Pro for $59. There are also other premium extensions that you can purchase to further extend its functionality. 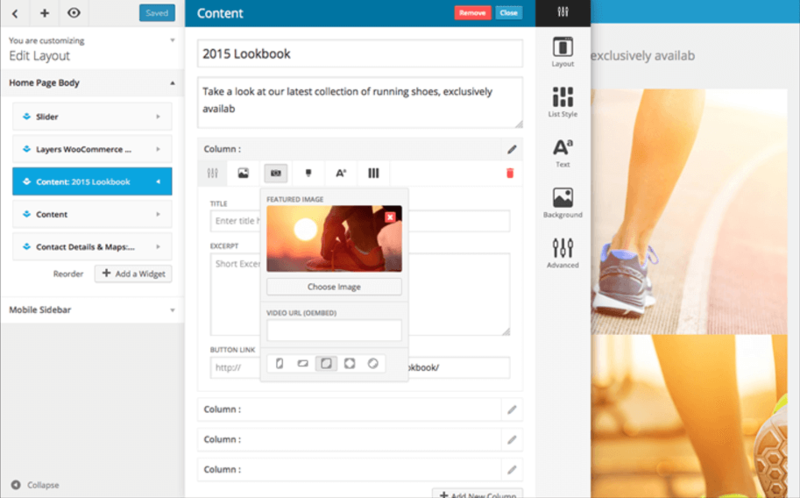 Which Website/Theme Builder Plugin Should You Choose? Of those three, I’d say Beaver Themer and Themify Flow are the most beginner friendly, while Oxygen offers the most control and features for those who already know at least some basic code. Divi and Layers, on the other hand, sit in a gray area between page builder and theme builder. Neither are true theme builders like the first three, but they both offer that functionality if you’re willing to get your hands dirty when it comes to headers and footers. All in all, my personal favorite from this list is Beaver Themer – but I don’t think you’ll go wrong with any of them – it just depends on your specific needs.